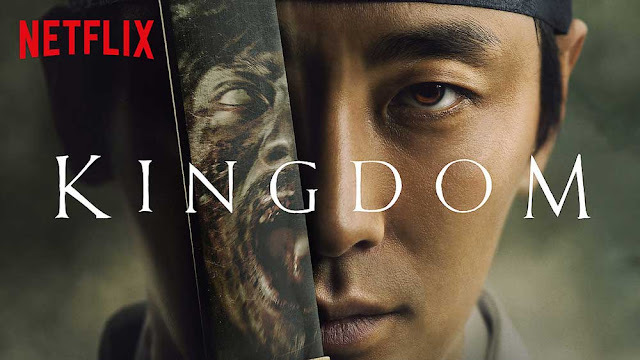 The hottest topic online today is the Korean series on Netflix: Kingdom. Kingdom tells the story of a crown prince whose father is suffering from a mysterious disease. The king's wife, a young daughter of the Chief Counselor, refuses access to the sick king even by his own son. The prince decided to investigate the matter and this brought him and his aide to the Southern part of the kingdom. There he found about a bigger problem that could be linked to his father's affliction. The series runs for only 6 episodes and has all the ingredients of a compelling drama: political intrigue, family conflict, and zombies. Yes, zombies. All of these ingredients are masterfully meld into one fantastic story that you, as the viewer, would be drawn into. As in other Korean series, many questions are answered before you could ask them but a lot are also left unanswered to make you continue to watch. Another point that separates the series from the rest is the production, The decision to make this a period piece/historical drama meant period costumes, scenic locations, and other things that contribute to the production value. At the same time, the series was beautifully shot and captured on screen. And the zombies! Let's talk about zombies. These are not your run of the mill type you see on any show. You know, the ones that groan and drag their feet. These zombies move fast and even run. They also hibernate in the daytime and avoid the sun but there's more to that than meets the eye. They don't appear until towards the end of episode 1 but you should see how they rise from their dead state when night falls. Kingdom is one of the shows that you will binge on until you've seen all episodes. I did it on one sitting and I want more. The creators made sure that there are enough cliffhangers for viewers to wait for the next season. Hopefully, it will come soon. Kingdom can be streamed on Netflix. I hope it will be a great year for all of us. Hopefully, there would be a lot of good things to write about this year. IKEA is coming to the Philippines in 2020! After years of speculation and waiting, IKEA made it official: it will open a store in the Philippines in 2020. 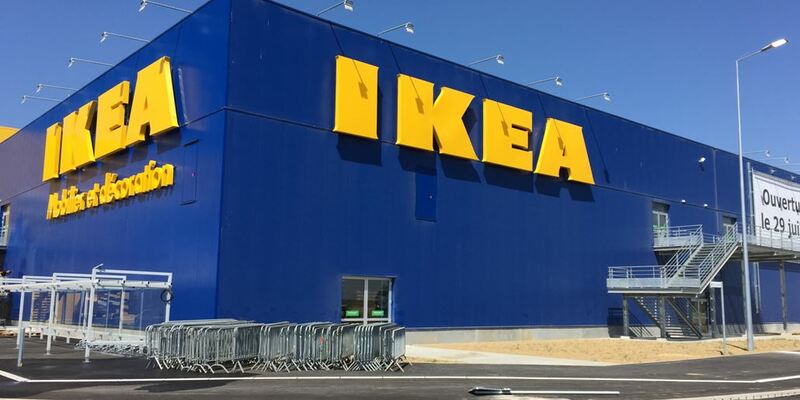 It will be the Swedish retail company's biggest store in the world, covering an area of 65,000 square meters. The two-story building will be located at the Mall of Asia complex, and for added convenience to loyal SM customers, there will be a walkway that will connect the store to the mall. I've been to an Ikea store in Singapore, and it was a great experience. Although it was like going through a maze, I was like a child in a candy store. By the way, I am not really interested in the furniture, which doesn't look durable. What really made me go around the labyrinth-like store were the home accessories like curtains, cushion covers, and decor. Plus, the products were priced reasonably that you can be forgiven for indulging. Hopefully, the future local Ikea store will use the same price points when they finally open their doors in 2020. Online shopping will also be available for those who want to buy stuff from the comforts of their home. But personally, I prefer to see and touch the products before purchasing. Nikkei Asian Review reported that Ikea had 422 stores in over 50 countries as of the end of August when the retailer closes its fiscal year. It attracted 957 million shoppers and generated $43.9 billion in sales during the 12 months. I still couldn't believe it would happen to me. But just recently our house-helper received a phone call recently that I was involved in a terrible accident. Our helper told the caller that I didn't have my car with me at the time but the caller, a woman, said to her that I took a ride with an office mate and I was in a hospital because I was terribly hurt and can't talk. Our house-helper started to panic and she asked what hospital I was at. The woman then asked someone on the other line to bring "me" close to the phone so our helper could hear me. The helper could hear a male voice mumbling something. The woman told her that I was in terrible pain but I wrote about my money in my closet and some jewelry. That's when our helper smelled a rat. She knows I don't keep money at home and I don't wear jewelry. She told the caller to get back to her as she would collect the money and jewelry. Our helper called me on my mobile phone immediately when the caller hung up and told me the whole story. I said I wasn't involved in an accident and did not even leave the office at the time. I instructed her not to go out and to be watchful of our surrounding. I was worried the caller was just around the neighborhood waiting for her to come out. The scammer did not call back, but the experience scared us and worried us for days. It was a classic "dugo-dugo" case. It's a scheme where someone would call and tell whoever answers the call that someone from the household got involved in an accident and needed help. They will then give instructions to find money or other valuables in the house and bring it to a place other than the hospital. In other cases, the caller would pretend to be a family member who hurt someone on the road and needs money to pay for the damages. It's good that our helper immediately doubted the story of the caller and didn't act impulsively. But hopefully, this story will remind everyone that it could happen to any of us so let's all be careful. 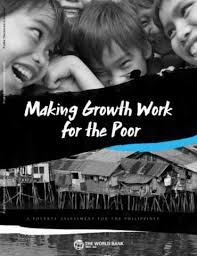 I recently attended a presentation on the latest World Bank study entitled, “Making Growth Work for the Poor: A Poverty Assessment for the Philippines.” Dr. Xubei Luo, Senior Economist of the World Bank, presented the findings of the main study. Dr. Luo identified the three key messages of the study: the Philippines can overcome poverty; the Philippines needs to do more to overcome poverty, and it requires concrete actions by all concerned to do it. Poverty had declined by 5 percentage points from 26.6% in 2006 to 21.6% in 2015. The factors that contributed to this decline include the increase in wage income and movement of employment out of agriculture, which contributed 2/3 of poverty reduction. Another driver of poverty reduction is government transfers which accounted for ¼ of the reduction. Remittances also accounted for 1/5 to the decrease of poverty, with some 2/3 of Filipino households receiving domestic and foreign remittances annually. Luo noted that in spite of these developments, the Philippines continues to lag behind its peers in terms of poverty reduction. Less than 1 in 10 Filipinos joined the global middle class while 1 in 10 remains vulnerable to getting poor. The study showed that this is due to several factors including the limited growth in agricultural productivity in the past decade and the limited manufacturing base which can absorb low skilled workers from agriculture, most of whom end up in low-end service jobs. High inequality also contributes to poverty in the country with only 1% owns half of the nation’s wealth. Natural disasters and conflict further add to poverty, with more than a million people pushed into poverty each year due to disasters, while protracted conflicts in some areas exact a significant toll on the local economy and trap people into poverty. Luo stressed that poor people start their lives at a disadvantage: they have limited access to good health, limited access to good education and thus lack the necessary skills to land good jobs. This vicious cycle trap people in poverty for generations. The report identified six concrete actions to end poverty in the Philippines. Create more and better jobs, focusing on quality. To do this, we must improve the business environment to attract more investments, upgrade the value chains, strengthen the backward linkages to create jobs for both skilled and unskilled workers. Since 60% of the poor work in agriculture, improving productivity in all sectors, especially in agriculture, is crucial in poverty reduction. This includes increasing productivity in agriculture and supporting agribusiness development. Another action is to equip Filipinos with the skills needed for the 21st-century economy. Luo said education is essential, and people living in a household headed by someone with limited education will be more likely poor than someone who lives in a household headed by someone with a good education. To improve education, we need to boost quality in basic education, increase secondary completion rate especially among the poor, and develop socioeconomical skills in people. Investing in health and nutrition is also crucial. Stunting rate is very high with 1/3 of children under 5 years are stunted, and half of the children in poor households are stunted. One out of 10 teenage girls are either pregnant or already had a child. It is crucial to improve health care quality and equity, reduce child stunting and fully implement the Responsible Parenthood and Reproductive Health Law. There is also a need to focus on poverty reduction efforts on Mindanao Two out of 5 poor people live in Mindanao, and more than 50% of the ARMM population are poor. It is vital to increase public investment and resolve conflict and promote peace in Mindanao. Lastly, we must manage risks and protect the vulnerable. Every year, 1 million people are impoverished due to natural calamities. Improving natural disaster risk management systems and strengthening social protection systems are crucial to support the poor and protect the vulnerable. Luo also provided updates on the implications of recent economic developments to poverty. Inflation, particularly food inflation, has increased very rapidly and remained very high. Economic growth outlook remains positive and is projected at 6.5% in 2018. If we look at the composition of income and expenditure by income quintile, poor people spend more on food. The poverty rate is seen to continue to decline, but with the uncertainty and high inflation, poverty reduction may slow down. This means that everyone must act together to fight poverty.